NZXT has long provided the overclocking and enthusiast PC market with quality liquid cooling solutions, often offering up great performance and lighting options as well. Building upon those successes, the new Kraken X72 utilizes a 360mm aluminum radiator and a re-engineered pump that delivers the cooling performance you'd expect, even for the most heat-generating consumer chips. The NZXT Kraken X72 combines 360 AIO cooling, an attractive RBG light show, user-friendly software, and excellent cooling performance. It's a compelling cooling solution that supports just about every modern CPU. The Kraken X72 comes with mounting hardware to support all current Intel and mainstream AMD processor sockets, and its support for the Asetek bracket included with AMD's TR4-socket processors brings Kraken and Threadripper together. Call it "Kraken-ripper," "Thread-Kraken," or whatever ever you like. So long as you don't balk at the price, this cooler should suit your needs nicely. 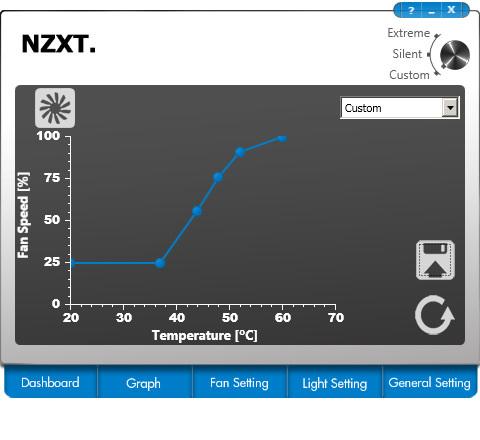 To help dissipate CPU heat, NZXT provides three of the company's Aer P120 fans, rated up to 2000RPM. A USB Mini-B-to-9-pin cable allows direct coordination with NZXT CAM software (should you choose to install it), assuming you have an open 9-pin USB header on you motherboard. 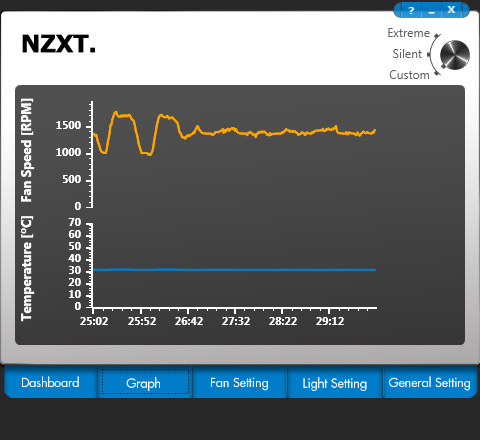 The NZXT CAM user interface software provides a dashboard look at your entire PC system, including system memory utilization, drive storage, and operational details for the X72. Display and color options for the infinity mirror (more on that shortly), logo, and ring are chosen using an RGB color picker, along with various properties to represent color changes for CPU thermal load or other feedback. A note to those wary of data collection on their PCs: NZXT prompts users when running the application that its CAM software will send system information to a cloud-based database. And whether you choose to authorize this or simply use CAM in "guest mode," data still gets sent to the company's servers. So if you're worried about NZXT getting all up in the details of your hardware, you may want to look to competing products, or just not install the software. The Kraken X72 pump is housed within the CPU cooling block module, and it displays the NZXT logo beneath its infinity mirror top. Tubing enters and exists from the pump housing via 90-degree swivel fittings, to allow for ease of installation and positioning of the braided nylon hoses. The side of the cooling block housing also has two ports on the ‘top’ side, if viewing the Kraken X72 as installed atop your CPU. One is the Mini-B USB port for connectivity and management with software, that connects to your board via a 9-pin USB 2.0 header cable. The narrow 9-pin header also connects to a 3-way PWM splitter for managing the Aer P120 fans via software as well. The base of the CPU cooling module is a finely milled circular copper block. The cooler comes garnished with a pad of pre-applied thermal paste, although we use Arctic MX-4 during our cooler tests, to take paste quality out of the equation. Clearing this paste allows an unobstructed view of the copper base. This view from below also shows the block-keyed pattern, which allows twist locking/unlocking of the mounting plates. Rubber grommets around mounting holes limit vibration noise of the three 120mm PWM fans. While the NZXT CPU cooling module offers up RGB lighting control and functionality, the cooling fans do not. Mounting the Kraken X72 is actually far easier than you might imagine. The bulk of the work involves just getting the 360 radiator wedged inside the case and into position to secure with screws. 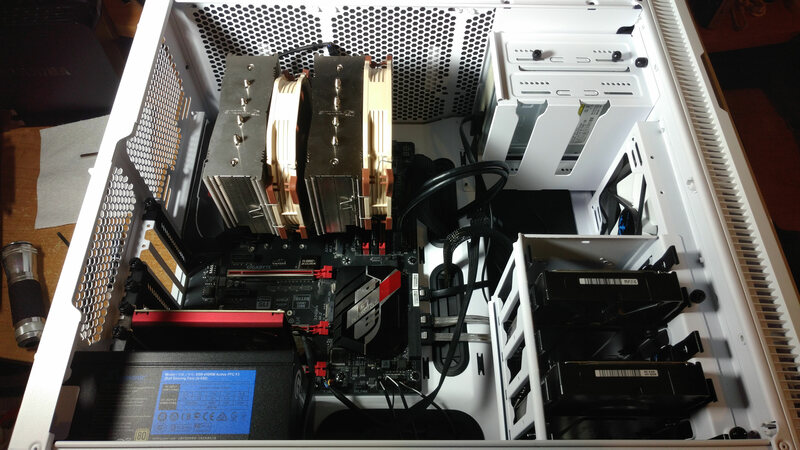 The USB data cable can be seen here, angling off the the top of the cooling block, while the fan header is hidden at the top. Here, we see the Kraken X72 sitting quietly atop our AMD Threadripper 1900X testbed. Ambient lighting is reduced in this photo in attempt to capture a more comprehensive look at the lighting display of the mirrored face. The X72 makes use of the AMD Threadripper’s boxed, twist-lock mounting ring for TR4 sockets. No comparisons to any 280mm AIO's? Not even the x62? I have given up on NZXT coolers due to their planned obsolescence. They dropped software support for their older coolers after as little as a year after release. For example, they refused to fix bugs with the kraken control software, thus it slowly became unstable with the many windows updates, and eventually got to a point where the fan speed control no longer worked properly. The fans only ran at 2 speeds (basically around 1500RPM and 2000RPM, both have the fan being insanely loud. Early versions of the CAM software did not have this issue, and supported the X40, but those beta versions were also unstable and if they crached, the the fan speed would be stuck at whatever the last fan speed was, thus if it freezed while the system is idle, the fan speed does not increase while you are gaming. They eventually fixed many of the stability issues, but they also removed support for the X40, thus the software would no longer detect it, thus you are stuck with the no longer properly compatible kraken control software. In bring that to their attention, all they could say is to buy one of their other overpriced coolers. So I took their advice and ditched the X40 and went with a NH-D15, and replaced the NZXT fan with a 140mm noctua fan for the exhaust vent. Overall, my system went from this: https://i.imgur.com/gmyiEFH.jpg, to this : https://i.imgur.com/yIfWGjC.jpg (taken while installing the replacement cooler). I will eventually upgrade again when I find a good 240mm or 280mm radiator to mount to the top of the case, but given NZXT's software support, my next cooler will not be from them. Nzxt x61 user. Cam works perfectly, always has. As far as the interface goes, that's a little different story, each new version changes the appearance and while everything lines up with what other software reports, the one thing that's always been bunk is the drives. 1 ssd, 1 hdd with 4 partitions. Not a hard concept, yet none of either the space used or even the partitions themselves are accurate. I don't care if nzxt gets my build info in an attempt to use that in order to create a better product. I do care that nzxt gets my build info and doesn't bother to fix the issues I have, before moving on to the next best thing. A potential great piece of hardware (albeit somewhat expensive), ruined by the software that controls it. Sure it has lighting, but it will rarely work reliably because CAM is more buggy than Windows 10. Riddled with Telemetry, bugs and an extremely slow response from the developers to said bugs, with each new version introducing more bugs, and you've essentially ruined what could have been a great performer. Why is it using an outdated mini usb port? Do CAM software work if his access to internet blocked by firewall? Why is it using an outdated mini usb port? That's just shameful. Mini USB is only being used to transfer temp data and control lighting. It would be pointless to switch to USB C especially since the other end of the cable is pinned out to connect directly to your USB 2.0 motherboard headers. They also include the cable in the box so you don't have to worry about having one. Not to mention a ton of other manufacturer's AIO's that also use mini USB. For those worried about the CAM software phoning home, there is another option not mentioned by the writer: Simply block the CAM software from communicating with the Internet using your firewall. You get its functionality without it's phoning home. For updates you can always manually check for updates on NZXT's site. It is a good cooler, but for those running a Threadripper 1920x or 1950x that asetek adapter bracket is only good to get you running until you can get a real cooler. This one is nothing special for threadrippers. You are WAY better off with an Enermax Liqtech TR4 cooler. As a Threadripper 1950X owner I find this cooler a disappointment. The same old asetek waterblock bracket as pretty much all other "me-too" AIO coolers use. I used that bracket with my TR and a Corsair 115i 280mm cooler and found it barely able to handle it at stock speeds. 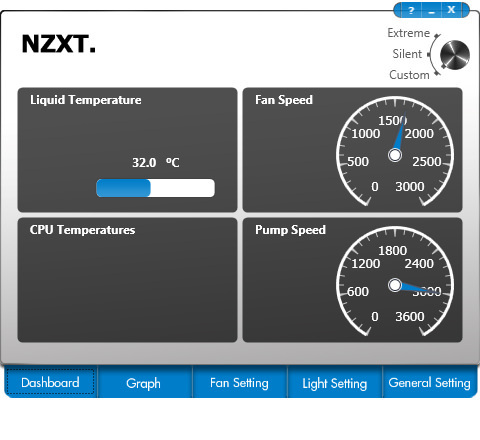 Replaced that with an Enermax Liqtech 360 TR4 and have no problems running at 3.9ghz while keeping the temps below 60c. If you are using a Threadripper and don't intend to go beyond stock speeds, this will do. But don't expect it to help you overclock this beastie. You want to overclock, get your hands on the cheaper Enermax TR4 cooler. It is a dead plug - it should be Micro USB, same as 90% android telephones.... and many other devices out there. Why would you jump to the conclusion of USB C? Yes. You need to block the CAMv3.exe and CAMService.exe files in your firewall. CAM also places a folder and settings.dat in the root of your C:\ drive. If you delete it, it will be recreated. There is also a camguest.id files created in C:\Users\<username> which is used to uniquely track you. Before I boycotted all NZXT products I user to delete the content of that file and set it to read only so CAM can't update it. If you want to stop the sending of data to facebook as well, you need to delete the facebook.dll file in the CAM folder. CAM does not work well with AVAST antivirus. It will thrash your hard disk. You might also find CAM writing data every two seconds to a log file called mmddyyyy.log (or something like that, where mdy is the current date). I don't recall this bug ever being fixed as I stopped using NZXT products at v3.5. There were other issues such as it not minimizing properly at start up, not detecting the hardware correctly and other problems, but as I said, I stopped using it 6 months ago.